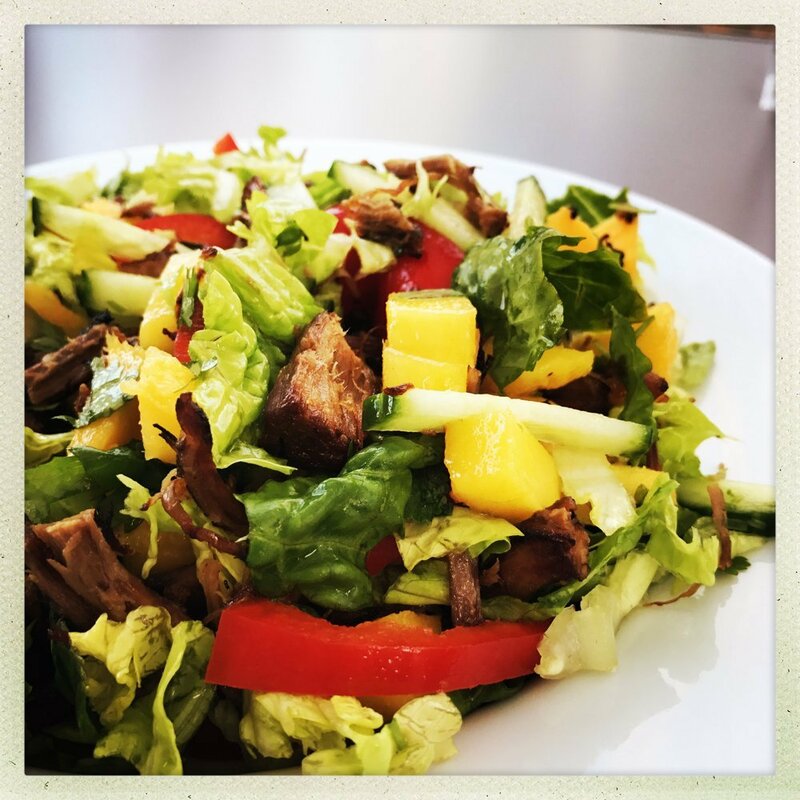 Give your roast beef leftovers a light and spicy make over with our mouthwateringly good spicy roast beef and mango salad. It’s quick to make, delicious to eat and thriftily uses up your leftovers. We fry up the beef with a splash of chilli infused olive oil and sweet sticky honey to give it a sweet and spicy flavour that works so well with a fresh zingy salad. Couple of handfuls or cold roast beef shredded into bitesize pieces. Heat a splash of olive oil in a wok style pan, tip in the shredded beef. Stir fry for around 5 minutes, then pour in the honey and continue to stir fry until the beef is crisping up slightly. 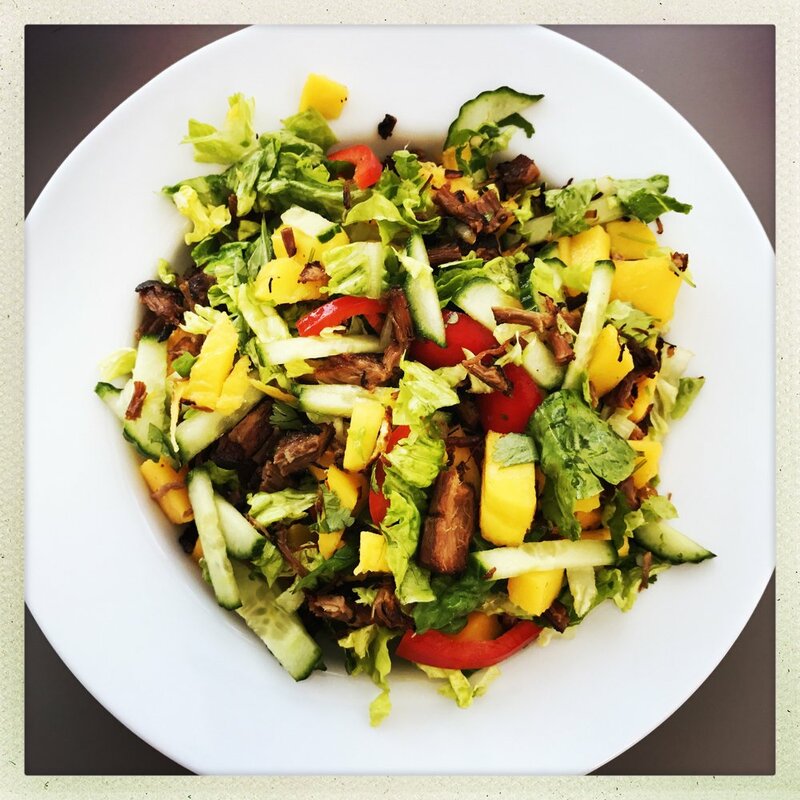 Whilst the beef cooks, put together the salad - throw the lettuce, cucumber, red pepper, mango into a bowl. Tip in the beef and pour on the lime juice, toss to mix everything together. Want more spice? Add fresh chopped chillies. Switch the beef for pork. Skip the mango or swap for blood orange. Delicious for Monday night dinner. Eat with rice or stuffed into toasted pitta breads.